The Learning to Give Board of Trustees is a dedicated group of philanthropic and educational leaders who are elected and serve three-year terms and represent diverse experience and geographic areas. The trustees bring a wealth of knowledge to this organization and share an interest in carrying forward the history and purpose of the civil society sector, empowering youth with deep understanding and empowering experiences to build their role as participatory citizens. Robert S. Collier (Rob) served as president/CEO of the Council of Michigan Foundations (CMF) from 2000 to 2018, however has been involved with CMF as a volunteer throughout his career in philanthropy, which includes service as the founding director of the Grand Traverse Regional Community Foundation; executive director of Rotary Charities of Traverse City; grants director of the Gannett Foundation; and program officer at the Charles Stewart Mott Foundation. His 33 years of experience covers every type of organized philanthropy and support to Michiganders in creating family and corporate foundations, as well as many donor advised funds at community foundations. Rob continues to be involved in leadership positions with state and national organizations that serve the charitable nonprofit sector and philanthropy, including service as a board member for the Michigan Nonprofit Association and the Michigan Association of United Ways, and as a member of the Public Policy Committees for the Council on Foundations, and the Forum of Regional Associations of Grantmakers. Rob also serves on many special task forces and boards, receiving appointments by the Governor to the Michigan Community Service Commission and the Executive Committee of the Michigan Economic Development Corporation. He holds a Masters of Public Administration from Central Michigan University and came to Michigan as a VISTA Volunteer, having graduated with a Bachelor of Arts from Hobart College. 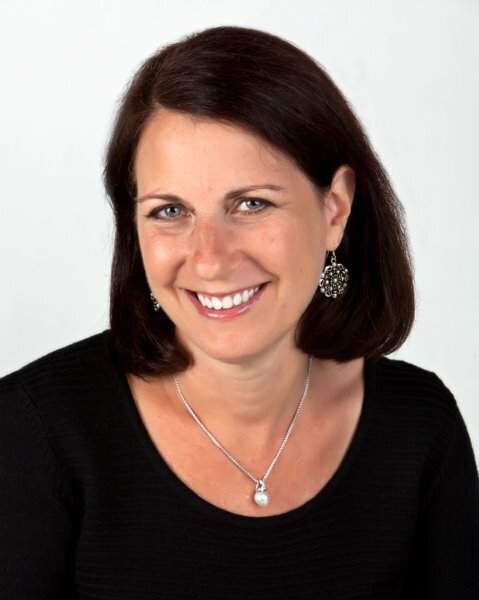 Kathy is past Executive Director of the Dorothy A. Johnson Center for Philanthropy at Grand Valley State University. Prior to the Johnson Center, Dr. Agard served for a decade as founding Executive Director of Learning to Give. Dr. Agard has over 40 years of nonprofit management and executive experience in health care, higher education, and foundation philanthropy. This includes the founding leadership, implementation and management of the Michigan Community Foundations' Youth Project for the Council of Michigan Foundations, a $100+ million program funded by the W.K. Kellogg Foundation to cover the State of Michigan with community foundations and to engage youth in grant making. Mike Goorhouse is President/CEO of the Community Foundation of the Holland/Zeeland Area (CFHZ). His involvement with CFHZ goes back 14 years when he joined the Youth Advisory Committee. He has since spent his entire career in philanthropy, including working with Private Foundations, Community Foundations, and Youth Grantmakers while at the Council of Michigan Foundations, before joining the CFHZ staff in 2012. Mike has been named by Grand Rapids Business Journal one of the top 40 business leaders under the age of 40 and one of the nation's top 30 Civic Leaders under the age of 30 by the National Conference on Citizenship. Andrea L. Hernandez, Ph.D. is a consultant, thought leader, and social entrepreneur with over 17 years experience in social change innovating and organizing in the public and nonprofit sector. Social change efforts Dr. Hernandez have led and supported have been shared in the New York Times, nationally and locally televised, and published in field articles and books. Annie currently provides strategy and thought leadership to the eXtension Foundation and innovative philanthropic families. Most recently, Annie served as the Executive Director for the Frieda C. Fox Family Foundation based in Los Angeles and led the development of its special project, Youth Philanthropy Connect, building the movement of youth philanthropy. Annie serves on the national board for the Grantmakers for Effective Organizations and Learning to Give and is a member of the Latino Community Foundation with her partner, George Rodriguez. She is proud of receiving the inaugural Young and Emerging Capacity Builder Award from the Alliance for Nonprofit Management and being a certified 21/64 trainer. Andrea earned her PhD in Leadership and Change from Antioch University, MS in Agricultural, Environmental Communication and Education at the University of Illinois, and her BS from Texas A&M University. She is an aspiring flower farmer and river explorer in Spokane, WA. 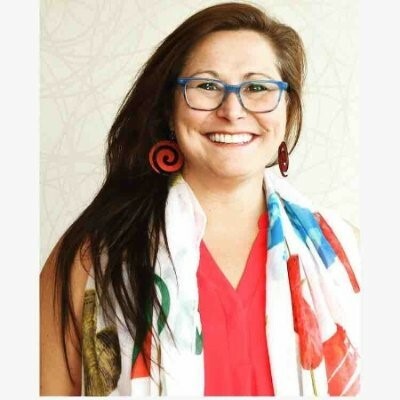 Vice President of Corporate Citizenship and Philanthropy, Blackbaud, Inc.
Rachel is Vice President of Corporate Citizenship and Philanthropy of Blackbaud, Inc., BLKB, a leading technology company that equips and connects the worldwide philanthropic community. She is responsible for global corporate social responsibility, forging strategic relationships, sharing expertise to further the field of social good, and leading the company’s 3,000 associates in efforts to serve and give. A servant leader, Rachel is committed to the core philosophy that “good is for everyone,” working both to champion driving positive change, as well as inspiring individuals to integrate service into their professional and personal development. In her work, her service, and her many mentoring relationships, she seeks to make a positive impact on her community with and through others, leveraging her deep experience working at the intersection of the business world and the nonprofit sector. She couples her deep interest in good with strong communication skills developed through collegiate and post-graduate study. She is a Phi Beta Kappa graduate of Dickinson College and holds a Master’s Degree in Journalism from the University of Missouri. 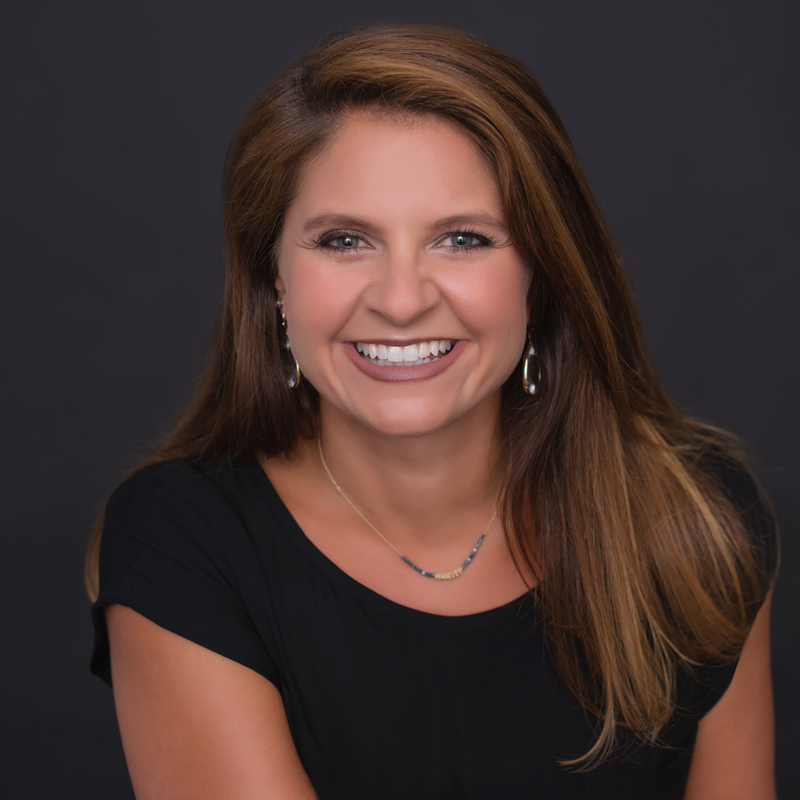 Rachel serves on the Board of Directors of the Giving Institute, providers of the annual Giving USA study, the Association of Fundraising Professionals and the Coastal Community Foundation. As CEO of the Council of Michigan Foundations for 25 years, Dorothy Ahlburg Johnson created a national model for regional grant-making and is credited with permanent structural changes in Michigan philanthropy. In 2014, Johnson was inducted into the Michigan Women's Hall of Fame. She holds a lifetime achievement award from the Grand Rapids Economic Club and received the Distinguided Grantmaker of the Year award in 2000 from the Council on Foundations. At the invitation of Presidents Bill Clinton and George Bush, Johnson advised the White House on volunteering and giving. When funding for AIDS services was considered "risky," she initiated the Michigan AIDS Fund, which became a national model. Johnson was the first woman board chair and served for 32 years as a Trustee of the W.K. Kellogg Foundation, one of the largest private international foundations in the world. Currently she serves on the boards of the Grand Rapids Symphony and Princeton Seminary. Grand Valley State University, where she served on the board for 16 years, honors her achievements with the Dorothy A. Johnson Center for Philanthropy. McHale has significant foundation experience, having been employed in the industry for nearly 25 years. He has served in several senior leadership roles, including Senior Vice President for Programs, Chief of Staff, and Vice President for Program Strategies with W.K. Kellogg Foundation in Battle Creek, Michigan where he was employed for over 20 years. As an educator, advocate, and service-learning trainer, Cindy brings years of experience from both the classroom and the non-profit community. As an educator she has served as a Curriculum Coordinator, Assistant Day Care Director, Lead Teacher, Assistant Pre-K Teacher, Math & Reading Instructor, and Training and Support Lead. Each of these positions has developed her skills in training, management, volunteer recruitment, retention, youth development, and program development. Cindy earned a Bachelor of Arts in Education for Educational Studies, which prepared her to work both inside and outside of traditional classrooms. This versatile degree qualified her for a variety of career paths, working with nonprofit or government organizations, private educational or recreational settings, and as an innovator, advocate, and leader with organizations that support the development of children, youth and/or adults. She has a strong general foundation in education through research and discussion of current issues in education, educational psychology, human development, and community-based educational opportunities. Julie serves as the Executive Director for TCC Gives, a public charity started by employees from her family’s company, TCC. Julie has actively built the non-profit organization with the help of many TCC employees also while obtaining her master’s degree from the IU Lilly School of Philanthropy and a certificate in non-profit management. Julie graduated with a degree in both microbiology and genetic biology from Purdue University. She found herself naturally more attracted to the nonprofit sector and volunteered and served on the board of the Marion-Grant County Humane Society for 5 years before moving with her family to Carmel, IN. This transition brought about the desire to more formally engage in the sector by pursuing her master’s degree. Julie and Scott met in high school and have been married 15 years. Julie is actively involved in the family business supporting the corporate good initiatives and decorating the office. She is a mother to Mason (12) and Marlee (10) and her four-legged friends Jax, Ralphie and Hazel. Along with this board she also sits on the IU Health Medical Center Philanthropy Council. Her life keeps her busy, but she enjoys it all with a smile! Margo is Executive Director of The Jewish Fund, setting the direction and grantmaking strategy for supporting non-profit organizations in the health and human service fields in the metropolitan Detroit area. She developed what is now a vibrant teen philanthropic board which has operated for 5 years. Prior to beginning her service with The Jewish Fund in 2008, she was a program officer at the Kresge Foundation in Troy, Michigan, serving on the health and human service teams for three years. She has held numerous positions during her 16 year tenure at the Jewish Community Center of Metropolitan Detroit, with the final 10 years as assistant executive director. Margo earned a Master of Social Work degree from the University of Michigan and Bachelor of Social Work degree from Wayne State University and is an advocate for social justice in her personal and professional life. She is also a board trustee of the Council of Michigan Foundations. Angela Seaworth is a professor, fundraiser, consultant & researcher in philanthropy and nonprofit management. Dr. Seaworth founded the Center for Philanthropy and Nonprofit Leadership at Rice University, where she was responsible for strategic planning and management for that center for 6.5 years, which resulted in training more than 4,500 nonprofit professionals in 41 states and 5 countries. Dr. Seaworth earned her doctorate in philanthropic studies at Indiana University's Lilly Family School of Philanthropy, where she researched nonprofit governance and leadership, authored a chapter of "Giving USA 2009," was a graduate fellow at the Tobias Center for Leadership Excellence, a doctoral intern for the Lumina Foundation, and held a doctoral assistantship at The Fund Raising School. Additionally, she was an adjunct professor at Indiana University's School of Public and Environmental Affairs (SPEA) and completed the Preparing Future Faculty program. Her professional experience spans corporate grant-making, community relations and public affairs, and more than 15 years of professional fundraising and nonprofit consulting. She worked in the Analytical Solutions practice for Marts & Lundy Inc. where she was responsible for capacity analyses, benchmarking studies and feasibility study design. Dr. Seaworth has served as a subject matter expert for CFRE International, preparing questions for the certification exam, and has served on various nonprofit boards for 17 years, including the ACFRE board for AFP International and a national foundation board. She is involved in ARNOVA and the Association of Fundraising Professionals, formerly served as vice president of professional advancement for the Greater Houston Chapter. Mary Sutton is the Executive Director of the Michigan After-School Partnership (MASP) - a statewide coalition of stakeholders engaged in supporting high-quality expanded learning and after-school opportunities for children and youth in Michigan. Mary was formerly a consultant in the Michigan Department of Education where she was hired as the first Executive Director of MASP. Following a 20-year career with the YMCA in Bay City as Executive Director and previously the Early Childhood and Youth Program Director, she is committed to helping communities build strategic partnerships and establish quality initiatives supporting children and families. She completed her undergraduate degree in Human Development from CMU in 1981 and her Executive MBA from Northwood University in 1999. Mary enjoys reading, crafting, gardening and spending time with her son, daughter, and grandson.